When I started joining road races in the early 80s, you can only receive a Finisher’s Medal if you finish a FULL Marathon Race. As for the lesser distance races, like 5K, 10K and Half-Marathon/21K, a finisher received then a Finisher’s Certificate and that was it! Joining a road race then was purely very simple and easy—pay your registration fee and you immediately get your race bib, instructions of the race, and a simple drawing/sketch of the route! Once you cross the finish line, you get your medal and/or Finisher’s Certificate and you go home happy and fulfilled. It is also in FULL Marathon Race that you get a Finisher’s T-Shirt or Race Singlet. But in the lesser distance races, you seldom get any finisher’s t-shirts. Only the Podium Finihers (1,2, & 3 runners) received Medals for the lesser distance races. Sometimes, there are prizes, cash or gift certificates, for the winners. Nowadays, even 3K and 5K runners try to find out if there is a finisher’s medal before they join/register in a certain road race. Some of the finishers would also demand for a finisher’s medal for these short distance races. I think we should bring back those days when only FULL Marathon Race Finishers deserve to be given a Finisher’s Medal. What is the significance of a finisher’s medal in running? It is your badge of accomplishment and your prize/reward for finishing the race. When I was in elementary, high school and college, ONLY the top 3 in the class received Medals and all the rest of the graduates received a rolled piece of paper tied with a ribbon which we call the Diploma. If I relate this observation during my learning days to a road race, it is best to consider also bringing back this tradition to the awarding of the best top 3 runners with medals and the rest of the runners with a “rolled” Finisher’s Certificate. But for the FULL Marathon Races, it is a must that all Finishers be awarded with Finisher’s Medal and let the Podium Finishers be awarded with appropriate trophies. If Race Organizers would follow this suggestion (going back to the old days of running), I think runners will have to pay less amount of money for their registration fees. This will bring my topic to the “economics” of finisher’s medal and the runner’s responsibility to know the details of how they are ordered and where our finisher’s medals are manufactured. Today, we have 5-digit numbers of runners from all the distances, from Marathon to the short 3K Race, and our Race Organizers would attract more runners by offering finisher’s medals to everybody. It’s a big money! But the money to be used to purchase the medal is coming from the registration fee! But there are corporate entities that would subsidize the cost of the medal resulting to a cheaper registration fees from the runner. 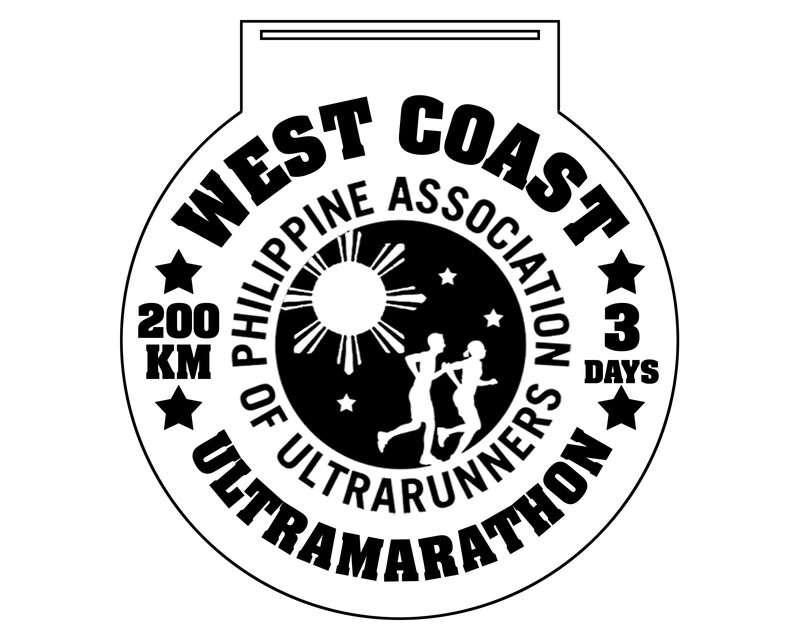 MILO/Nestle Philippines is noted in this blog as the only corporate entity that subsidizes the cost of its Finisher’s Medals in its yearly nationwide road races. The size of the medal is directly proportional to the cost of the product. Which means that, the bigger the medal, the more expensive it is. You should be happy that you have the biggest medal for finishing a race. Your money was used to order and buy that item…and you really wanted that medal to show to the world that you have accomplished something which others have yet to do. It is fine and fair because you earned it by honestly finishing the race. But for me, I am sad if these Finisher’s Medals are ordered and manufactured from another country. Oh, yes! Most of the Finisher’s Medals nowadays are ordered and manufactured in another country. You might say that the art work is better and the price is cheaper but your money which you paid for the purchase of this medal as part of the registration fee is going to improve the economy of another country. Not for the economy of our country, my friend! I would not mention “big ticket” road races here in the country that order their Finisher’s Medal in another country which happens to be saturating our markets with consumer goods which are very cheap. And even saturating our markets with fake & cheap versions of any Popular/Signature Brand from jewelries, clothing, accessories, and even tools and equipments. I would say that this country is robbing us with the economy that is supposed to be ours! If you are patriotic/nationalistic and have that duty to help the economy of our country, and as a paying and registered runner, you have the RIGHT to ask from the Race Organizers where your Finisher’s Medals are ordered and made. You can even ask how much is the production cost for the Finisher’s Medal you are going to receive once you cross the finish line. I am not telling you to refrain from joining such races where the finisher’s medal is made outside the country but I just want you to be aware where your hard-earned money is going to end up to. By the way, all BR Events’ and PAU Races’ Finisher’s Medals and Buckles are made by Bernal’s Metalcraft & Engravers in Pasig City and Suarez Brothers in Cebu City, respectively. In my small way, I am helping the economy of our country! I agree 100 percent sir Jovy to the economics issue. If I may add, most races now are with corporate sponsors, so, cost of registration should be low. Kudos for supporting our local artisans. I do have a medal from a full mary made by suarez bro. and the craftsmanship into it is more of a fine jewelry than a mass produced chunk of metal from China. While I got an acrylic token from being a podium finisher then (no elites joined then as there is no cash prize), the finishers’ medal was really sweet. I was quite surprised to hear that big ticket event medals are sourced from China. I only thought singlets were sourced from them. Unfortunately, Filipino runners only care about the price of the reg fee, hence the need to source the medals from the cheapest supplier, which unfortunately in this case, China. Furthermore, I estimate the medals to cost at least 200 a piece, to more than 500 for the plate sized (remember condura 2012 ?) abomination. RUPM will follow the trend and also have a huge medal as well, but I am forced to join as I need a full mary simulation run for the Milo finals. Organizers will do everything just to keep reg fees coming in. It’s what the majority wants, I as a minority, forced to follow the trend as well. While I prefer to have the medals locally sourced, could it be possible that no PH based supplier could provide the huge numbers at a short notice? Lastly, I’m one of the few who don’t run for medals. I prefer to have no medals at all just to cut down on reg fees. I also prefer if organizers could offer a variable fee for “non-race” expenses (singlets, medals / tokens, etc). But I digress. On my stand regarding giving out medals to non-full categories, if the medal makes more people get up from the couch and run, well I’m all for it. Walang basagan ng trip. Sabi nga sa inspirational video ng milo, ano ang hinahabol mo ?